These studies (3,4) demonstrate the effects of Caffeine on cognitive performance in a highly trained population, some of whom were in a sleep deprived state (3). These findings suggest that the general population may experience similar benefits in cognitive performance by supplementing Caffeine in dosages of 200-300 mg in a normal state and up to 600 mg in a sleep deprived state. The fact that Caffeine enhances brain function and alertness is probably not too shocking, but its effects on Endurance & Strength are both significant and positive. 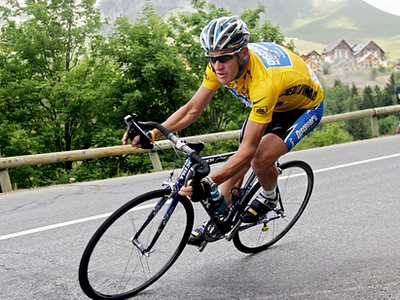 There is extensive research on Caffeine’s positive effects on Endurance. While there is much less on its effects on Strength, the little research which has been done has shown a positive impact on Strength. Several studies show little to no impact on power when supplementing with Caffeine (5,6,7,8,9) but a positive impact on Strength and Endurance. To be clear, there is a difference b/w Strength and Power. 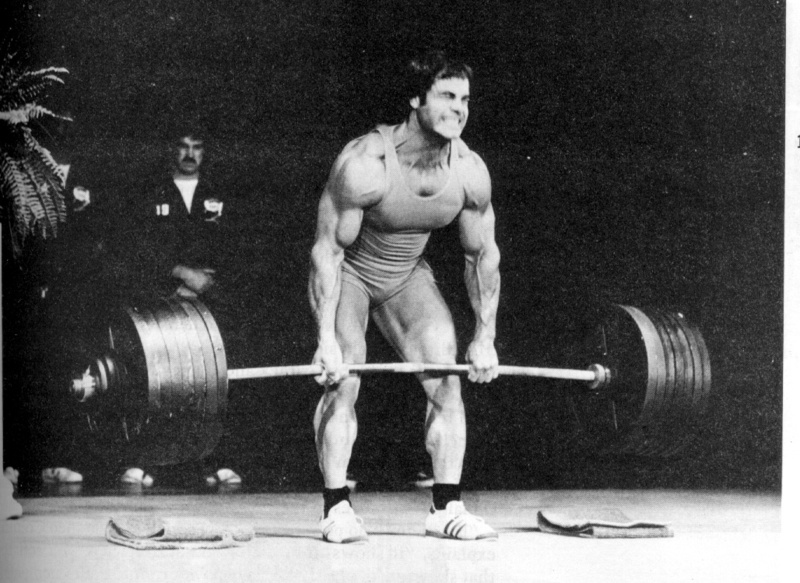 Strength is a function of the amount weight that you lift (greater weight = greater strength). Power is a function of Strength and Speed (Power = Strength x Speed) or how fast you can lift a particular weight (faster = more power). So, lifting 300 LBS in 2 seconds is indicative of greater POWER than lifting 300 LBS in 5 seconds. Let’s take a look at the ergogenic (performance-enhancing) effects of Caffeine on Endurance and Strength. David Costill, Ph.D., performed the ground-breaking study on Caffeine and exercise in 1978(10). He took nine competitive cyclists (two females and seven males) and had them bike until exhaustion at 80% of V02 max (also known as maximal oxygen uptake, it’s a measure of how well your cardiopulmonary system functions). Each subject consumed coffee containing 330 mg of Caffeine 60 min before the exercise or a placebo (decaffeinated coffee). When supplementing with Caffeine, subjects were able to perform an average of 90.2 minutes of cycling as compared to an average of 75.5 minutes in the placebo trial. This reflects a 19.5% increase! Going back to a point made in Part 1 of our article, when I touched upon Caffeine’s impact on fat loss, they also found that subjects burned 107% more fat during the Caffeine trial (118 g or 1.31 g/min) than in the placebo trial (57 g or 0.75 g/min). Also, subjects reported that the effort during Caffeine trial felt much easier than during the placebo trial. This sentiment was validated in a study on Caffeine’s impact on perceived exertion performed by Doherty et al(11). The study concluded that in addition to improving exercise performance, Caffeine decreases RPE (rating of perceived exertion), which means that doing the same activity with Caffeine makes you feel like you are not working as hard as compared to doing the same activity without Caffeine. Caffeine can delay fatigue and decrease perceived exertion. Several studies have shown Caffeine’s positive impact on strength. A study by Bliss et al. demonstrated that collegiate shot putters who supplemented with 100 mg Caffeine were able to throw 6.4% further versus a placebo(12). A study by Forbes et al. demonstrated a 6% increase in the number of Bench Press repetitions performed at 70% of 1RM (one-rep max) versus a placebo(8) when ingesting a Caffeine dose of 2mg/kg of bodyweight. A study by Beck et al. demonstrated an increase in 1RM Bench Press Strength of 2.1-5.0% when supplementing with a Caffeine dose of 2.5 mg/kg of bodyweight(6). A study by Wong et al. demonstrated increases in reps to fatigue in the bench press, lat row and shoulder press of 5-10% when supplementing with a dose of Caffeine of 6 mg/kg of bodyweight(13). A very recent study from January 2011 done by Duncan et al. showed a 6.7% increase in reps and a 10.8% increase in weight when observing Bench Press to failure using a weight of 60% of 1RM with a Caffeine dosage of 5mg/kg of bodyweight (14). Take Caffeine, get JACKED and set personal records!!! Whether your goal is fat loss, better endurance or greater strength, Caffeine is a supplement which is cheap, readily available and definitely worth trying. As I mentioned in Part 1, your best bet is to go with Caffeine Anhydrous in a capsule form. Personally, I use anywhere b/w 4-6 mg/kg of bodyweight. Since I am about 220 LBS, this equates to 400-600 mg. I ingest it with water 15-30 minutes before training. The effects will be noticeable and you will feel positive and energized to hit the weights. For the average person, I would recommend starting off with 200 mg and then going up from there. Caffeine sensitivity varies from person to person, but the max dosage to experience all of the benefits is about 5mg/kg of bodyweight. Please be mindful to pull back on your normal Caffeine intake when supplementing with Caffeine. On days where I train and supplement with Caffeine, I don’t even drink coffee at all afterwards. Use your judgment with this. A strong cup of coffee is about 200 mg of Caffeine so, if you normally have 3 cups of coffee per day and you supplement 200 mg of Caffeine when you train then, only have 2 cups of coffee that day. Give it a shot and you will find the benefits to be worthwhile. 1) Heatherley SV, Hayward RC, Seers HE, Rogers PJ. “Cognitive and psychomotor performance, mood, and pressor effects of caffeine after 4, 6 and 8 h caffeine abstinence”, Psychopharmacology. February 5, 2005; Volume 178, Number 4, pgs. 461-470. 2) Smit HJ, Rogers PJ. “Effects of low doses of caffeine on cognitive performance, mood and thirst in low and higher caffeine consumers”. Psychopharmacology. October 2000; Volume 152, Number 2, pgs. 167-173. 3) McLellan TM, Kamimori GH, Voss DM, Tate C, Smith SJ. “Caffeine effects on physical and cognitive performance during sustained operations”. Aviation, Space, and Environmental Medicine. September 2007; Vol. 78, No. 9. pgs. 871-7. 4) Lieberman HR, Tharion WJ, Shukitt-Hale B, Speckman KL, Tulley R. “Effects of caffeine, sleep loss, and stress on cognitive performance and mood during US Navy seal training”. Psychopharmacology. November 2002, Vol. 164, No. 3. pgs. 250-61. 5) Anselme, F, Collomp, K, Mercier, B, Ahmaidi, S, and Prefaut, C. “Caffeine increases maximal anaerobic power and blood lactate concentration”. European Journal of Applied Physiology and Occupational Physiology. 1992; Volume 65, Number 2, pgs. 188-191. 6) Beck, TW; Housh, TJ; Schmidt, RJ; Johnson, GO; Housh, DJ; Coburn, JW and Malek, MH. “The acute effects of a caffeine containing supplement on strength, muscular endurance, and anaerobic capabilities”. Journal of Strength and Conditioning Research. August 2006. Volume 20, Issue 3, pgs. 506–510. 7) Collomp, K, Ahmaidi, S, Audran, M, Chanal, JL, and Prefaut, C. “Effects of caffeine ingestion on performance and anaerobic metabolism during the Wingate test”. International Journal of Sports Medicine. October 1991. Volume 12, Issue 5, pgs. 439–443. ’8) Forbes, SC, Candow, DG, Little, JP, Magnus, C, and Chilibeck, PD. “Effect of Red Bull energy drink on repeated Wingate cycle performance and bench-press muscle endurance”. International Journal of Sports Nutrition and Exercise Metabolism. October 2007. Volume 17, pgs. 433–444. 10) Costill DL, Dalsky GP, Fink WJ. “Effects of caffeine ingestion on metabolism and exercise performance”. Medicine and Science in Sport and Exercise. Fall 1978. Volume 10, Issue 3, pgs. 155-8. 11) Doherty M, Smith PM. “Effects of caffeine ingestion on rating of perceived exertion during and after exercise: a meta-analysis”. Scandinavian Journal of Medicine & Science in Sports. April 2005. Volume 15, Issue 2, pgs. 69-78. 12) Bliss, MV, Bellar, D, Kamimori, GH, Glickman, EL, Barkley, JE, Ryan, EJ, and Bellar, A. “The effect of caffeine supplementation on performance in the standing shot put throw”. Medicine and Science in Sport and Exercise. May 2008. Volume 40, Issue 5, pg. S362. 14) Duncan, MJ and Oxford, SW. “The effect of caffeine ingestion on mood state and bench press performance to failure”. Journal of Strength and Conditioning Research. January 2011. Volume 25, Issue 1, pgs. 178–185.